Looking for cost-effective travel options for a large number of people? Safe-Way can accommodate youth groups, day care centers, small businesses, church groups, office departments, or any other group you may have. We can provide transportation to activities like sporting events, camps, event shuttles, outings, and everything in between. 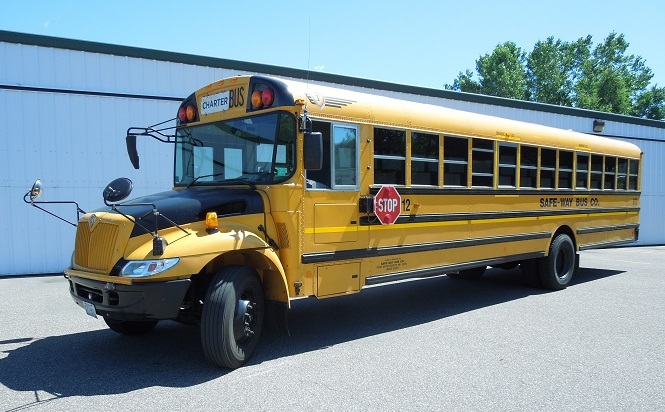 Chartering a school bus is one of the safest and most cost-effective ways to travel. Any type of activity you are planning, Safe-Way bus is here to serve your transportation needs. We also have handicapped buses and a trailer if needed.